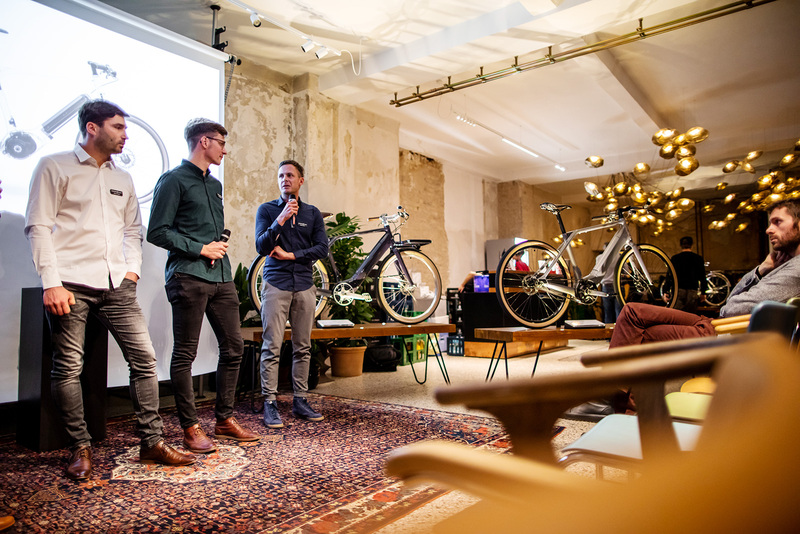 15 November 2018: After some years of thorough development we proudly presented our new E-Bike product line to the public. 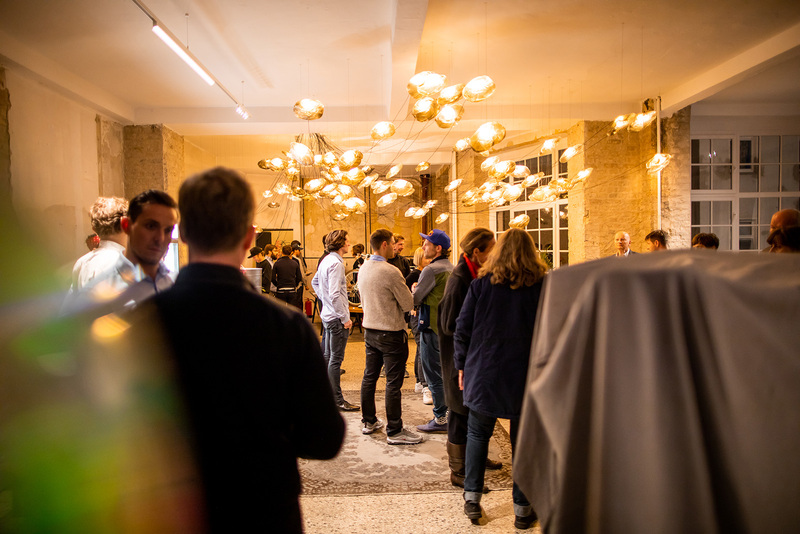 Partners, friends and media were invited to attend our launch event in the relaxed urban environment at FvF Friends Space in our Berlin-Kreuzberg neighbourhood. Presenter Christina Rann from Hamburg charmingly led through the evening. Our goal was to emphasise the connection between the often-used term "urban mobility" and our developments. As makers of bikes with a focus on the needs of commuters and city cyclists, the step into e-mobility was a logical consequence in order to get more people into cycling. For us this means expanding our range from 14 to 18 bike models – four new additions with an e-motor, which are supposed to meet different demands towards individual urban transport. 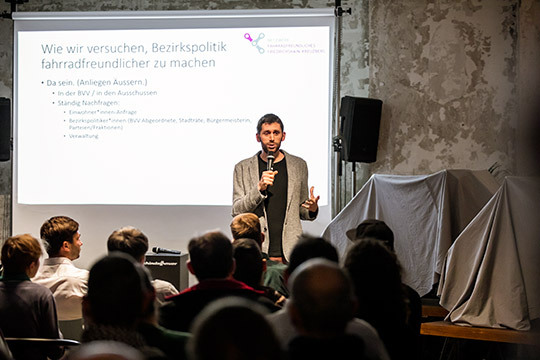 The introduction was made by Dirk von Schneidemesser, board member of Changing Cities e.V., who talked about the work of the network for a more bike-friendly Friedrichshain-Kreuzberg, districts of Berlin. 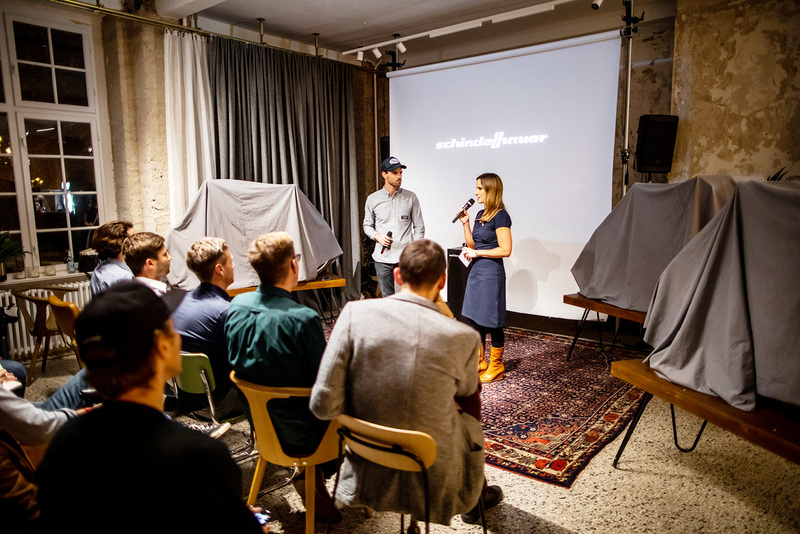 Unveiling the bikes took place afterwards, followed by Christina Rann interviewing our founders and developers, as well as answering questions from the audience. The first two E-Bikes Heinrich and Karl manage to walk the line between a well-rounded design and an impressive battery range and reliability, which can only be delivered by the market leader in this segment, Bosch eBike Systems. Both models are ready to be pre-ordered and will be seen on European streets in the beginning of 2019. The women's version Hannah with a step-through frame will follow in May 2019. 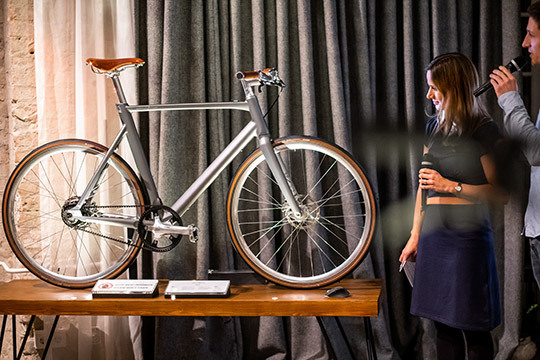 The fourth E-Bike was a surprise for many: Arthur was unveiled at the end of the end of the event. This model looks like a typical Schindelhauer Bike without a motor. This is made possible by the Spanish manufacturer MAHLE ebikemotion and their innovative combination of a powerful motor, paired with a sleek and efficient battery, as well as an intelligent Software. Arthur will be available in graphite grey in autumn 2019.